Investigations: While most criminal cases come to the firm AFTER an arrest, we are frequently engaged to help a client BEFORE an arrest. It is important to know what your rights are, what you can negotiate, and how your right to an attorney can help you BEFORE you speak with the police. At the Law Officers of Sean Marcus, PLLC, we generally believe that, with few exceptions, the earlier you obtain an attorney or get an attorney involved, the more likely your chances are to walk away from this criminal episode without suffering life altering consequences. This is because as time passes, evidence is destroyed (did you know that most 911 calls and video surveillance recordings are only preserved for between 30-90 days after the date of your arrest? ), witnesses disappear, or their memory fades. And, we have found that as time passes, people may be less likely to become involved in a criminal episode, but are must more likely to be involved early on. By reaching out to these witnesses early, we can get their story, lock in their testimony, and preserve defenses that might not otherwise be available if we wait until AFTER the arrest. 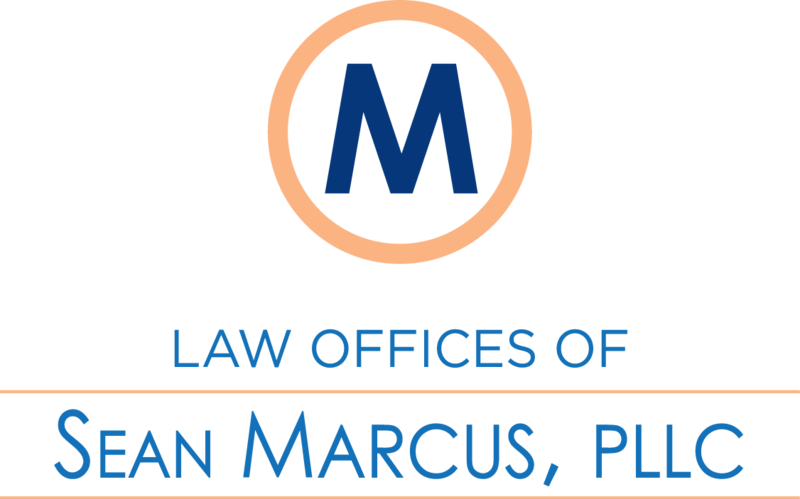 When retained on cases BEFORE the arrest, the Law Offices of Sean Marcus, PLLC will be your voice, getting your version of the events out to the police (in a way that it cannot be used against you), and will investigate the incident to ensure that all evidence is discovered, and preserved, as early in the investigation as possible. Unfortunately, an attorney can never completely prevent an overzealous police officer or prosecutor from moving forward with an arrest; but, when you hire The Law Offices of Sean Marcus, PLLC early in the incident, you can be sure that your best defenses are preserved, and that the case is MUCH more likely to be thrown out or dismissed later on. For examples, see the past results section, under Investigations. Probation Violations: While an initial criminal case may be difficult to handle, a probation violation is often just as serious (if not more) than the original case, and often carries much more serious consequences. Probation Violations often involve situations where the client and their probation officer had a misunderstanding, or the probation officer has been trying to violate the probationer for something minor because of a personal dislike of the probation. When this happens, it is important to contact The Law Offices of Sean Marcus, PLLC. We can reach out to the probation officer, see if there was a misunderstanding, see how we can clear up the misunderstanding or mitigate its effect so that you can walk away from this episode without having to risk serious jail time. And, in serious cases, when this is not an option, The Law Offices of Sean Marcus will be by your side, fighting the probation officer’s allegations with you. We have litigated numerous probation violations hearings, and use our years of experience with hundreds of probation violations hearings to determine if there are available defenses, and if the probation officer (and the State/Government) can even move forward based on issues like jurisdiction, willfulness, and an ability to pay fines/fees/restitution. Post-Conviction Motions: Additionally, we handle post-conviction relief for all of the above-mentioned crimes when a client has discovered that (a) there is new evidence which demonstrates his/her innocence, (b) that there is previously undisclosed or undiscovered DNA evidence, and/or (c) where the client believes that his previous attorney’s performance was deficient.